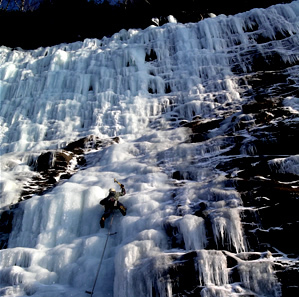 Moving over frozen waterfalls in the winter environment is the most surreal medium of climbing in which I engage. Everything about it seems impossible and yet there you are hundreds of feet off the deck on a sea of ice connected by millimeters of metal and a lot of courage, trust, and patience. 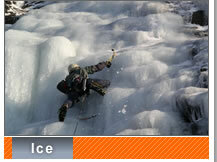 Climbing ice is a fundamental skill of mountaineering and developing solid crampon and ice axe techniques is paramount for all alpine climbers. 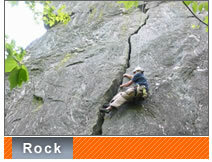 We can collaborate to customize an ideal experience for you offering instruction in these techniques, top rope site management and anchor construction, multi-pitch anchoring & efficiency, lead climbing and self-rescue. 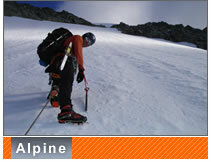 I run trips based out of the Chamonix valley but will climb where weather and conditions are best. 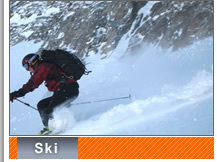 Close proximity to Italy and Switzerland gives us outrageous options of the most classic and accessible routes in the world, from one-pitch routes to multi-pitch routes in an alpine arena. There are so many wonderful options from which to choose and details will be worked out once we customize your itinerary to meet your goals and objectives.